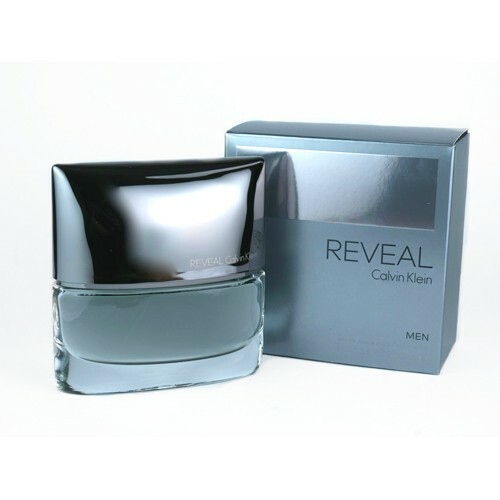 Reveal Men, the masculine edition is announced as fresh and unique. "Reveal Men Calvin Klein epitomizes the uncompromisingly masculine and bold attitude of the modern man... to men who want to intrigue, challenge and seduce." Top notes include crystallized ginger, mastic, pear brandy and kiwano (African horned melon). Its heart contains aromas of suede, clary sage and agave nectar. The base includes tonka bean, vetiver, organic Haitian Orpur and golden amber. It is recommended for casual wear.